As a small business owner, you will have to wear a number of different hats. Since you likely have a limited budget, there are a number of tasks that you will have to do yourself. This will include necessary marketing for your business. Even when you are utilizing a cheap office space, you will be able to brand your business in a manner that will help you gain attention and notoriety. Before you begin the process, you need to have a clear understanding of the identity of your business. Sit and try to think of things such as your business purpose, goals, history and values. Once you have been able to map out these things, you will have to determine what it is that helps you to stand out from your competition. However, this is the complete wrong way to go. You need to instead focus on the positive statements and what it is that makes you unique. The next step will be to determine what it is that your audience wants to know. In order to start, you will have to determine your niche customer. These are the individuals who will fit the demographics that make up your idea customer. If you currently have an established business, then look to your current customers or your repeat customers in order to determine your particular niche. Once you have an idea of what makes you unique and who your audience is, you will be able to create your unique brand message. This is what is going to make you recognized by customers. For more information on finding a cheap office space, contact Access Office Business Center today. 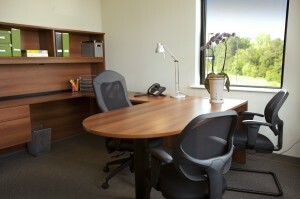 Here you will find a professional and helpful staff who will help you get the office space that you need.